CoQ10 is an essential element for many daily functions, and it is used by every single cell in the body. It supports important functions, including supplying cells with energy, transporting electrons, and regulating blood pressure levels. Liver supplements, like CoQ10, have been increasing in popularity. Not only does CoQ10 improve stamina, strength, and physical endurance, it’s also been a beneficial anti-aging supplement. For these reasons, CoQ10 is recommended most for people with heart problems. This can include anyone suffering from a history of heart attacks, coronary heart disease, high cholesterol, angina, atherosclerosis, and mitral valve prolapse. Demand for general wellness supplements, especially those as important as liver supplements, has continually increased over the last 15 years. Increasing health consciousness and disposable income among people around the world is one of the primary factors stimulating the demand for wellness supplements such as CoQ10. 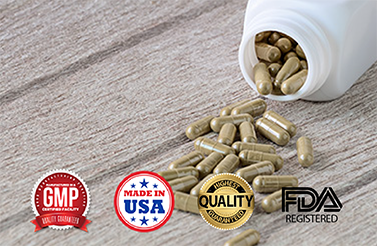 BioThrive Sciences offers private label manufacturing and contract manufacturing of all natural supplements, including CoQ10. We are committed to providing our clients with the highest quality ingredients. Our facility uses the most advanced technology for fast turnarounds. Plus, all of our products are held to the highest standards and are regulated by governing agencies, keeping consumers safe. As the leader in GMP Certified supplement manufacturing, our team can create a powerful CoQ10 supplement with our private label design at our state of the art facility. We create custom formulations for our clients using only the top ingredients. What makes us unique is that we are not only a supplement manufacturing company. We have over 20 years of experience handling international and domestic shipping including drop shipping, custom label designs, and private label manufacturing. Contact our team to learn more about our supplement manufacturing services at 844-263-3657, or fill out our contact form and we will reach out to you as soon as possible!